Around the majority of the pages we just see the content spreads from edge to edge in size with a practical site navigation bar just above and simply just efficiently gets resized once the identified viewport is achieved so practically the showcased information fluently implements the whole width of the web page provided. 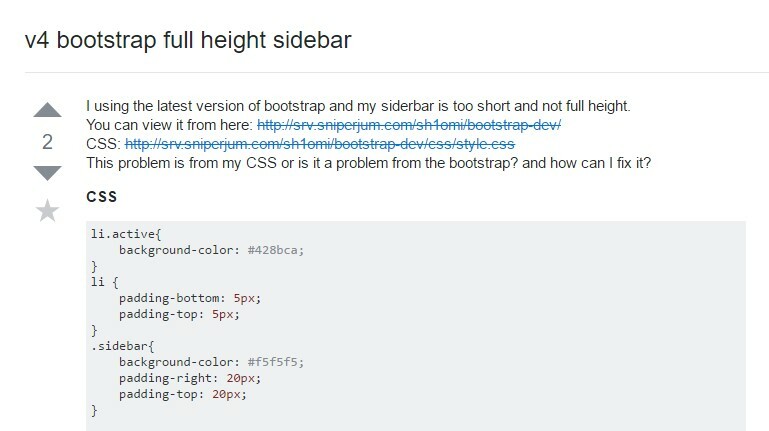 Even so at a several instances the aimed goal the pages must serve require together with the fluently resizing material section some other section of the available display width to get appointed to a still vertical feature with some hyperlinks and material inside it-- in shorts-- the famous from the past Bootstrap Sidebar Toggle is required. 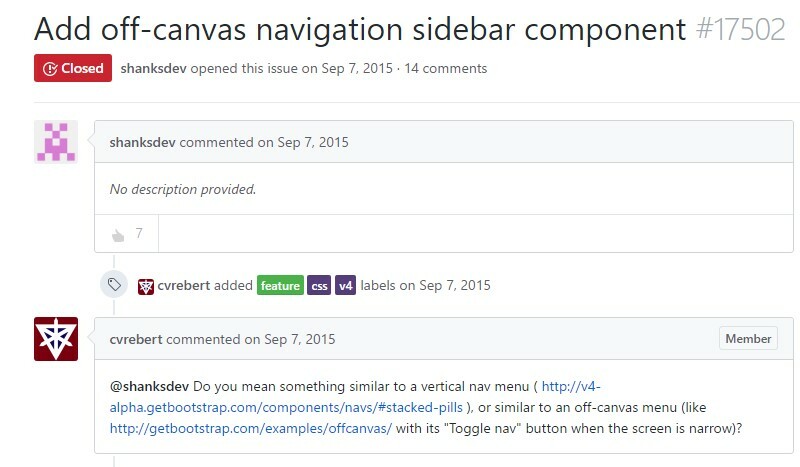 This is rather outdated method but if you truly want to-- you can set up a sidebar feature with the Bootstrap 4 system which in turn in addition to its own flexible grid system additionally provide a few classes designed especially for producing a secondary level site navigation menus being really docked throughout the page. But let us set up it easy-- by just nesting some columns and rows -- It is supposed this could be the best method. And also by nesting I suggest you are able to gave a .row component positioned inside a column one-- it commonly functions the identical technique with the exception of the provided columns in a single line limit-- in the case that you nest a row within a column you have the ability to have up to the column's width extending inner columns inside it before they wrap to a new line. Primarily we need a container element to maintain the rows and columns and considering that we're developing something a little bit more challenging the .container-fluid class might be the right one to appoint it to-- this way it will definitely always spread over the whole detectable width provided. Next we require a .row to cover the principal system into which in our instance would certainly be a wide column for the material and a smaller-- for the sidebar-- let's say we'll separate the width in 9 by 3 columns in width. In such manner the primary column element really should carry .col-md-9 and the second one - .col-md-3 class used. Next inside these types of columns we can easily just make some extra .row elements and stuff them up up with some content generating originally the major page and after it-- the elements of the sidebar just like two smaller webpages laid out side by side. 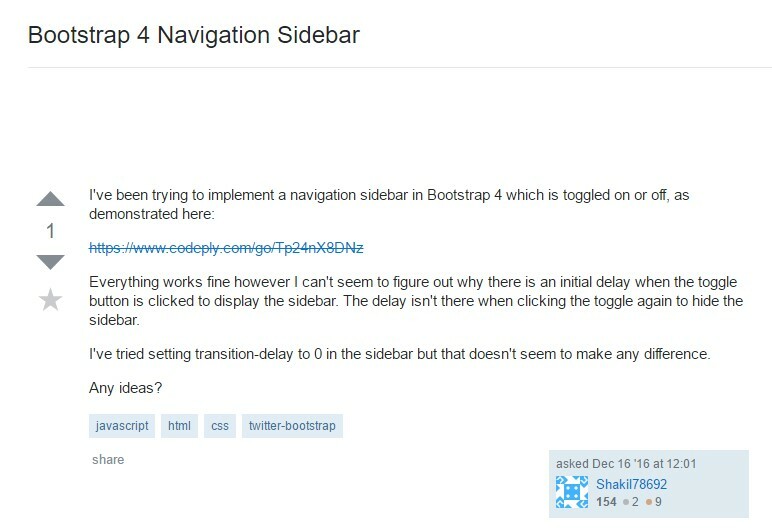 Also in case you require to develop a sidebar navigation menu along with the needed .col-* class you are able to assign it the .sidebarclass and wrap the webpage's leading material into a <main> element utilising it the rest width by using a .col-* class and suitable offset equal to the sidebar's width to make the nicely display side by side.